Q. How do I find the title of a law report or journal if I am given just the abbreviation? 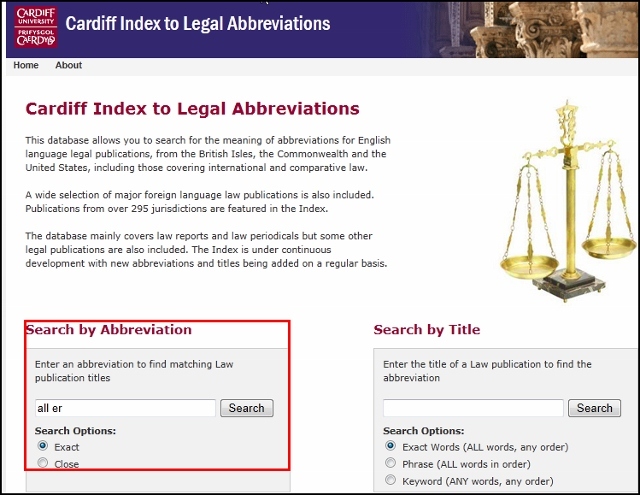 Use the following sources to identify legal abbreviations to law reports and law journals. All ER stands for All England Law Reports. Search by title in the Library catalogue to find print or electronic version of the law journal or law report.